Rated 4 out of 5 by dancemom1 from Brrrrr, it's cold! Hello friends! As usual, I review mostly on the game play and leave the story line to others who do a much better job than I. We have another addition to this very nice series. We have excellent graphics and no blur when going in and out of scenes. Game play was very good, with no problems during the demo. Colors are a bit faded in some areas, but mostly bright and true, with none of those annoying blues or pinks that are quite tiring on the eyes. Animation is realistic with eye, mouth and facial movements and very smooth body movements as well. Voices are age and character appropriate and have emotion to them as well, fear, anger, power, urgency, and not just some one reading a script. Sometimes we have silly dialog, e.g., if I'm standing in front of a "bad guy," I am not going to deliberately antagonize them. Our young heroine's voice is a bit annoying, but at least she doesn't talk constantly. Music is rather soothing until it needs to let you know something is about to happen. Sound FX are very well done and realistic. We have an interesting helper, in the way of a machine that can do various things to help us throughout the game. Good think it blinks at me, or I'd forget to use it. HOPs are very well done and scenes are very clear. Items are not difficult to find at all. We have a variety of interactive lists, silhouettes, and fragments. We also have a morphing item in each HOP, which is not as easy as you think. The item morphs quite slowly, so it is easy to miss it. I did not see that there was anything else to switch to. 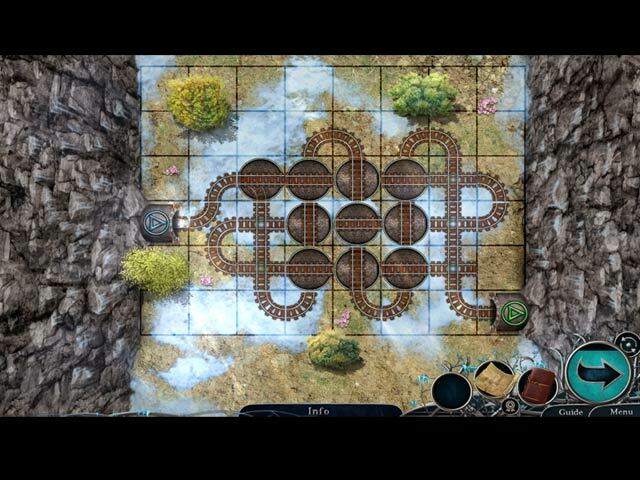 Puzzles were a nice combination of fairly simple to pretty challenging. Ran across a few that took me longer than expected and more brain power than I normally use. Very well done. Hint system is very helpful and gives you a hint, not just "move on." I didn't see that we had the transport feature in this addition. We do back track, but it didn't seem to be a lot. Collectibles are also well done. We have to find snowflakes, which are fairly large and quite easy to see, no challenge here. We also have morphing items outside of the HOPs. Not as easy to spot as you think. This story is well done, easy to follow and flows quite well. Even though it isn't all that different, it kept me interested and wanting more when the demo ran out. I'm not sure why, but I still cannot give this one 5 stars (I think it was the boring map). I don't give them easily, as a game must be exceptional in all aspects. This one is close, with a 4.75. I think most all levels of players will find this one interesting and challenging, and worth the price of the CE. Yes, I am adding it to my collection. As always, try it for yourself and see what you think. We all have different tastes in games and you may not care for this one at all. Thanks for the reviews. Play on! Rated 4 out of 5 by Majestyx12 from Third in the series of Dawn of Hope by Mad Head Based on the trial I liked the trial. I seen some familiar places. Liked the hops and it has replays of 21 hops. 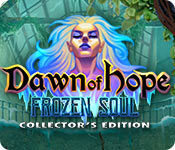 Collect 27 Snowflakes, Morphs in the scenes and hops. I liked some of the mini-games. Not all of the Mad Head Collectibles are the same. The Series 1. Skyline Adventure. 2. Daughter of Thunder 3.The Frozen Soul. I have the first two and I plan on buying this one too. Rated 3 out of 5 by 69horus69 from A very medium average game... Since a long time I consider these devs as being quite lazy about creating new standards in their games. But if this one pretty much ok, I still have to fuss about two things: 1) absence of alt2HOPs, which I really love because it's a nice way to sometimes vary the pleasures, and 2) they can't help it but multiply the HOPs the more the game comes to its end and I definitely HATE it ! I really look forward for them to understand that they could please their gamers by making an effort to innovate ! Other do ! Rated 3 out of 5 by twinsoniclab from Why must series go downhill? I think this is only the third in the series. The first was incredible, innovative and like nothing we'd seen before. Clever use of "ancient" artifacts (from our day! ), and many that the people had no idea what to do with, or what they were for. Then came game #2, which wasn't as good. Now, #3, which is still better than playing a game with hooded, black-robed, red-eyed demonic baddies, or witches stealing fiances. I liked the graphics, but now the "ancient" artifacts are bit overdone. Plus, now we have power, electricity to run our elevators, computer (why did only the ones surviving use disks? ), even our subway trains! I had yet to see a close-up of the "Society Agents," so maybe they are hooded and black-robed, but somehow they are after our society, to destroy it. They can shoot lightening! They took out our power, but have no fear, we manage to fix it with a few puzzles. That, and some "elf magic." So, we are off to find the old time, powerful elves, to save us. They saved humankind in the past, why did they leave us on our own, assuming we could manage on our own? They should have known better. Why did they leave behind some younger elves? The collectibles are nice, both fixed (snowflakes) and morphs in scenes, and morphs in the HOS. The HOS are simple. Ordinary lists, silhouettes, faded images... The PUZZLES too were too easy. Put wires in place, line up three symbols (where moving one moves another), follow the sequence of lights (that's on our handy calculator!). The one where we move the train tracks (3 times) is fun, but way too easy (start at the finish for extra-easy). Oh, we get a "gimmick!" Some sort of our-day heater/cooler thing. Put in a frozen geegaw and switch to "heat" to melt the ice. Yes, ice that wouldn't melt with the hairspray fueled torch, or fall off hitting it with an ice axe... So many ways of ridding ourselves of ice. If that poor frozen man needed elf medical attention, it's because we chipped ice off him with the axe! So, it's different enough for me to buy it, as a CE, but not until it's a true half-off member's price. Mad Head just needs to watch out this series doesn't continue heading downhill. Rated 2 out of 5 by snowbunny1977 from Didnt mesh This was a mess! There were some technical difficulties but then it started playing ok. The story is just boring. I got bored in 10 minutes. Didnt bother with more. I played the demo and glad I didnt buy. Rated 2 out of 5 by LunaNik from The Frozen Soul is a hot mess. A post-apocalyptic world is the setting for a class war of biblical proportions between the elite Society (who live in the high towers) and everyone else. As long as I played, no explanation was given for the Society's animus against the others. Just to complicate the plot, there are elves. The story had some potential, but moved slowly and was riddled with irrelevancies. A word about the "ancient technology," which was eye-rolling. The computer complained it was low on memory, then demanded diskettes. For some reason, this worked, even though diskettes store data; they do NOT provide a computer with more memory. You'd need RAM chips for that. The freezing/flaming artifact was just silly. A device small enough to lug around, powered by parts cobbled together from a rusting auto, and lacking both a compressor and fuel managed to both flash freeze and emit flames. LOL…sure. Gameplay is best described this way: Wander around, pick up random spare parts and odd bits of things, and MacGyver them into usefulness. Meanwhile, your inventory is filled with a bizarre collection of junk for no reason. Makes no sense. People usually figure out the problem first, then formulate a solution; they don't randomly collect junk in the hopes that it might be useful in the near future. 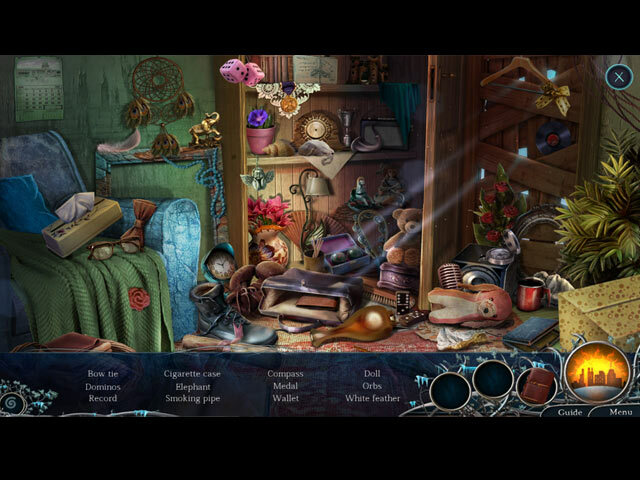 HO scenes were typical of this dev…beautifully-designed but with the objects in plain view. Mini-games were all familiar and easy. On the plus side, the shaped keys were nearly absent. I encountered only 3 in 38 minutes. Sure, the production is (mostly) spectacular. But it's an immersive storyline and interesting gameplay that make a game great. Both those elements were missing. I enjoyed Skyline Adventure, the first episode in this series, but Madhead took it in the wrong direction. More focus on the characters and less on elven magic and physics-defying technology would have been the way to go. Rated 2 out of 5 by Yurnmesis from Trial: Bad Script! Boring Story! Old Theme! From the beginning this game seemed like developers picked up various scenes from other games and dumped them into this one. The characters were okay, but as far as appearance, none seemed connected because attire varied drastically and the scenes appeared like a city dump site and offered no clue regarding a time element, appears to be in the future after a major catastrophe. Older guy wore a Sherpa bomber jacket, earrings and a tooth necklace, Lennart, the young man, opted to dress like a hung-over rock star and the girl only appeared in a corner box, so not sure what she was wearing. Both Lennart and the girl sounded like child-like cartoon characters. Where are your adult voice-over actors? The older character did sound like an adult. 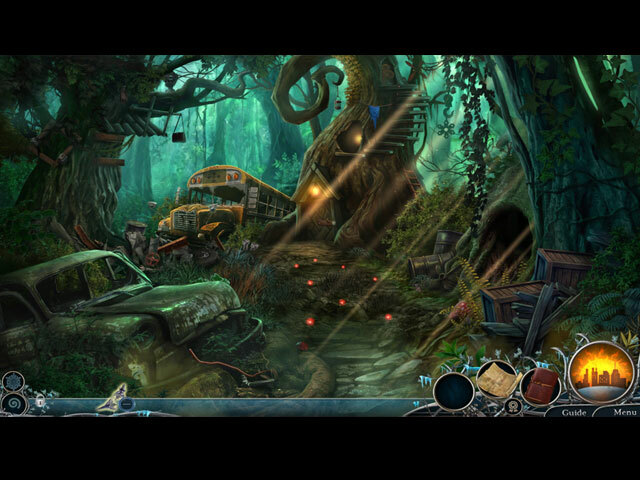 Hidden Object Games had no rhyme or reason why objects were tossed in there, just a bunch of junk really. Some variety but overly cluttered with objects Mini games were old and annoying and when there was a three-part one said that was enough for me Every time an ancient device was used a match game popped up, so tired and over used Inventory objects were bizarre a bunny rabbit and package of chewing gum…gum was used to fill holes in a pipe. Graphics were okay, sound and music okay, characters were not thought out and used poor voice overs, script was HORRID. When Lennart and the girl encounter a questionable character he asks….are you a ghost or are you just bored? Who wrote this, I could write a better script and story than what this offered so far I’ve seen these scenes before, seen the devastated city and the over used frozen element. I almost quit after ten minutes but decided to see if the trial improved. It didn’t. I won’t buy this one and I won’t recommend it. You give it a trial run to see what you think. Rated 1 out of 5 by cathybobcat from GARBAGE Could not finish the demo. This one is enough to clog my garbage disposal, there is so much of it in this demo. I don't know what the deal is in some of these games that there are areas in scenes, as well as hos that are so dark you think they are trying to make you go blind.....or is it just to detain you in a particular area, because that is what you are going to be doing....as well as ridiculous tasks and puzzle after puzzle (that you cannot replay from what I saw in the Extras...only the 21 hos). WHAT FUN....I think not. The graphics are like that of a grammar school book...very inferior. You have some very weird and unattractive teenage looking elves....and then there is Mr. Hett who looks like a sleeze with ulterior motives. I couldn't stand looking at them, particularly him. In the beginning of the game, we have the wonderful and exciting game play of having to get rid of some really thick ice....in 2 places. It wasn't enough to find a stick, rag and lighter and then have to light it with hair spray. Oh no, you then have to get a heavier tool to do it. WOW! How long are we going to have to be in this one scene....or the other 2 that follow? A long time, going back and forth. You enter an area that experiences a blast, making it darker than before, of course. It was hard to see in it to begin with. You are supposed to restart a broken down train, among other tasks to hold you hostage in the scenes. And best of all, we get a ridiculous Device of the Ancients we have to repair that either melts or freezes things. It even has a slide switch with a snowflake or flames so you can be absolutely sure of what to do. Oh my! I could hardly contain myself, it was so exciting. Outside, there are absolutely insane things to do.....soften mud on a dumpster with a chalice of water you get from a pump you have to find a handle for. Then you have to use a folding chair to reach a car that is lodged up in the air, and even prop the hood up with an umbrella. You don't want to hear any more of this, believe me. What an utter waste of my time this was.